Finding a good place to sit is part of traveling. 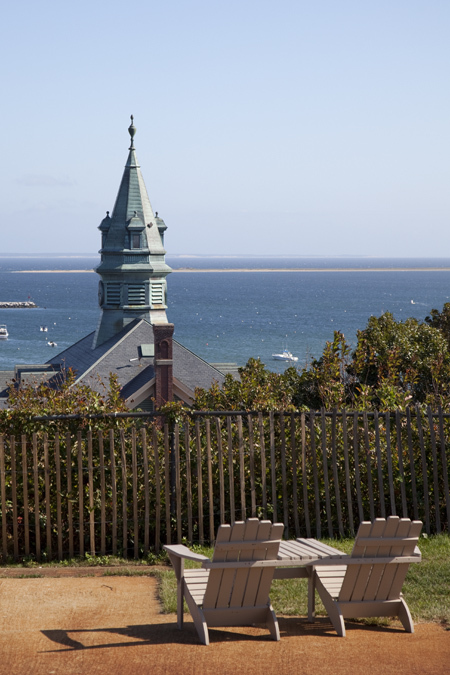 Typically it involves choosing a scenic view or prime people watching spot. 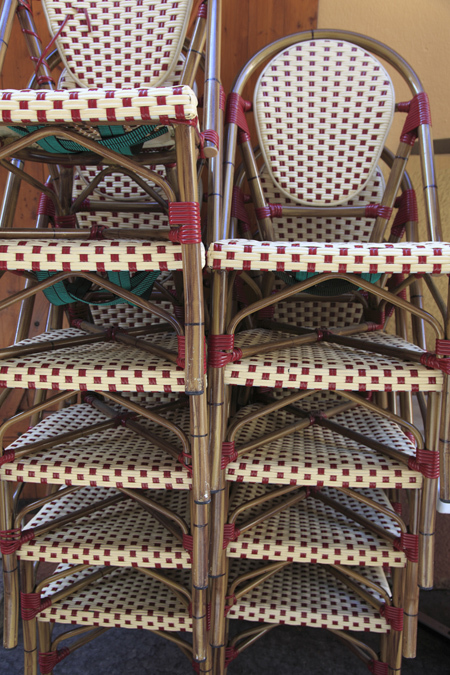 But the seat on which you rest your bones can also be an icon of the destination. 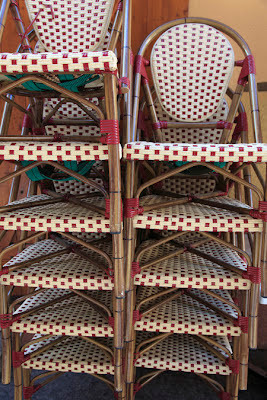 The classic French bistro chair is utilitarian and stylish. These were stacked in an alley in Old Town, Nice. 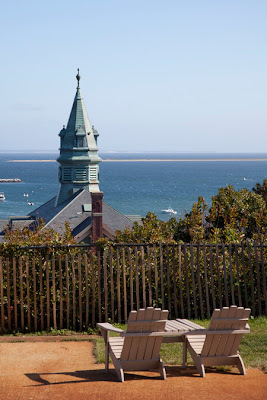 Adirondack chairs, designed for the outdoors and named for the mountain range, can be found throughout the Northeast in the USA, like the ones pictured here in Cape Cod, Massachusetts. 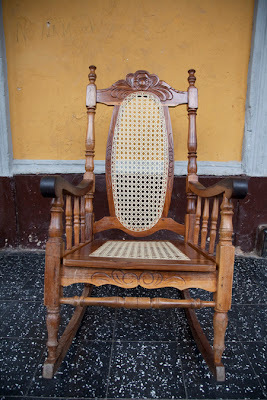 The rocking chair in Nicaragua is key piece of furniture in every home. They are not a granny only affair and often bought in sets. Peering into the parlous of colonial homes you’ll see young and old lounging in them. 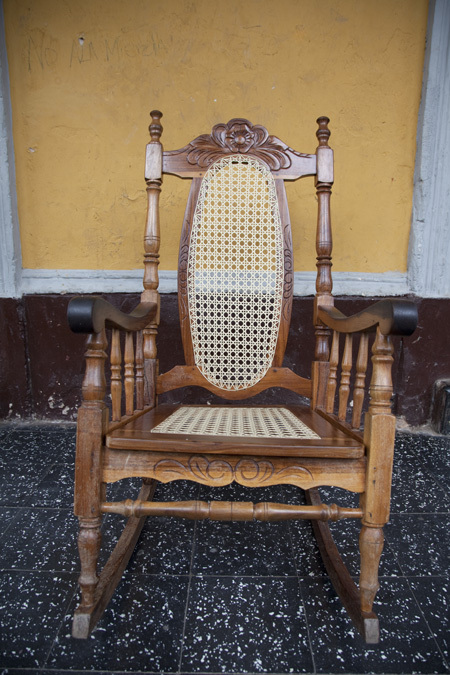 If you could bring home from your travels any style of chair, which would you choose?